Friday evening found us Seniors behind the old Beauty Shop on Main Street. 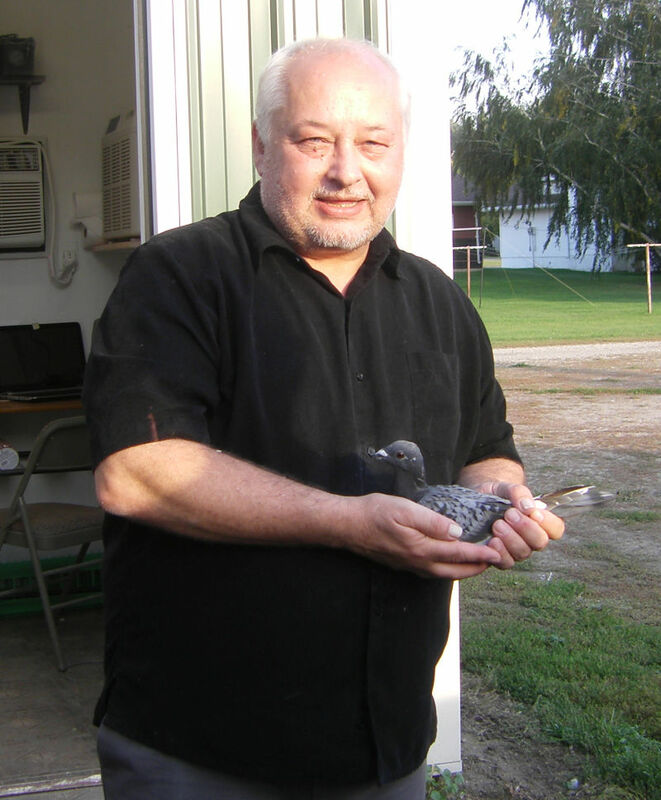 Mike Borgen, the new owner of the building, showed us his 32 Homing Pigeons. He is training his 6 month old pigeons to return home. Pigeons can fly home from any place in the US, but Mike is only taking his out about 10 miles this year. When asked how they can fly back, Mike replied that they can sense a magnetic pole on earth. 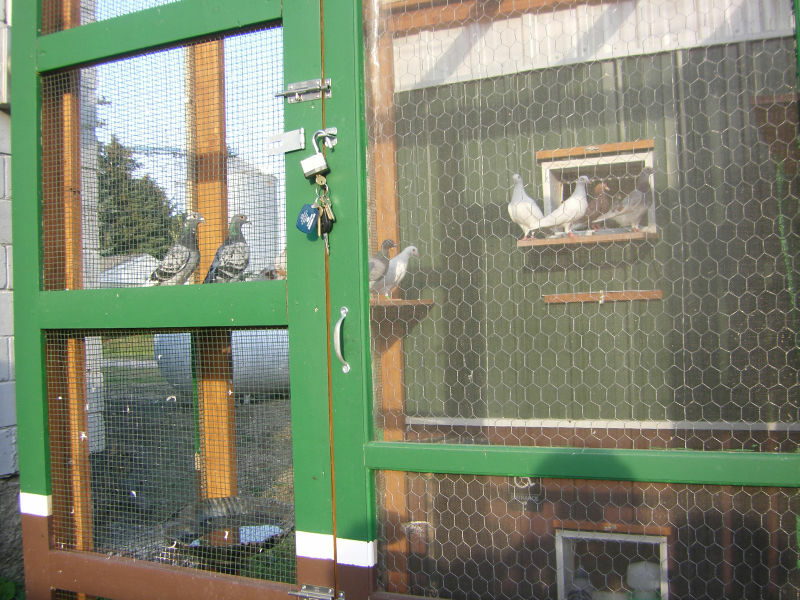 The pigeon coop has a low “handicapped” entrance for 2 birds that broke their wings and never healed completely. These 2 females have become partners and raise eggs for others. It takes 18 days for the eggs to hatch. So he does not get too many babies, Mike will sometimes substitute plastic eggs for the real eggs. 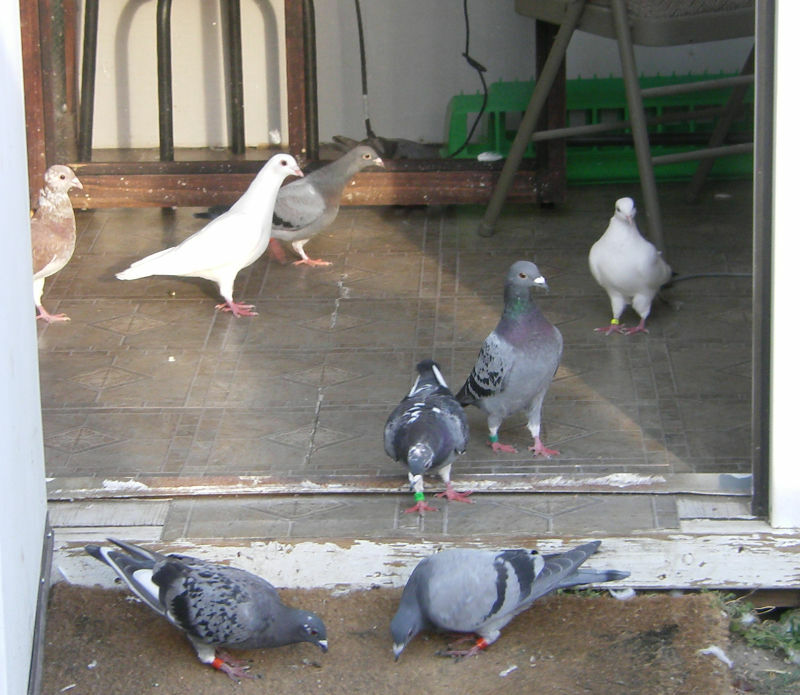 Pigeons can be used for weddings and funerals. When released they will fly in circles before returning home. Rollers, smaller pigeons, do acrobats. Mike would like to have other pigeon owners so he can race them. 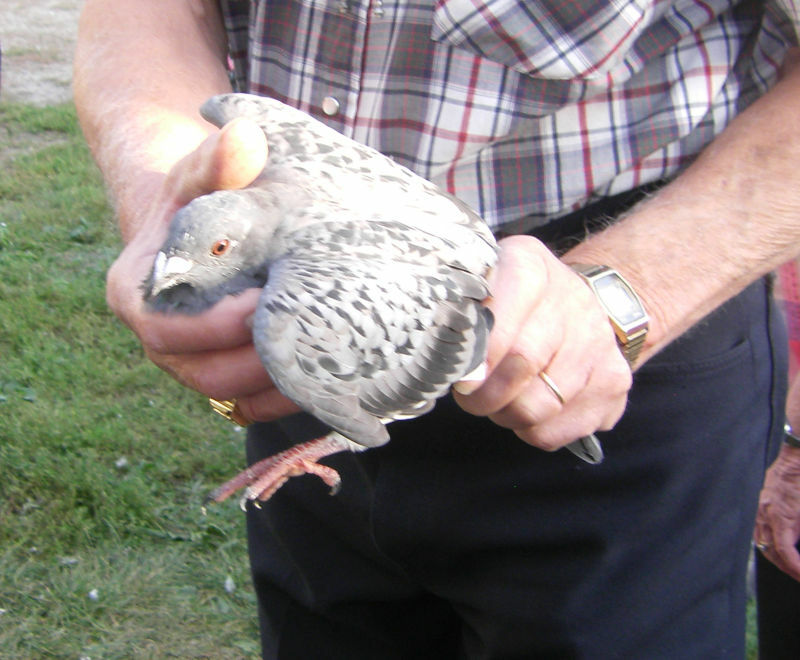 He would donate pigeons to them if they would be willing to raise them for racing. He would also let his pigeons be used free in Anamoose.